Last year, while doing their clinicals in a nursing home, COTAs Holly Masters and Ali Izzo witnessed a constant disconnect between the elderly residents and their families. They saw sadness, loneliness, and boredom in the residents. And they decided to do something about it. The Purpose Therapy Box was born. 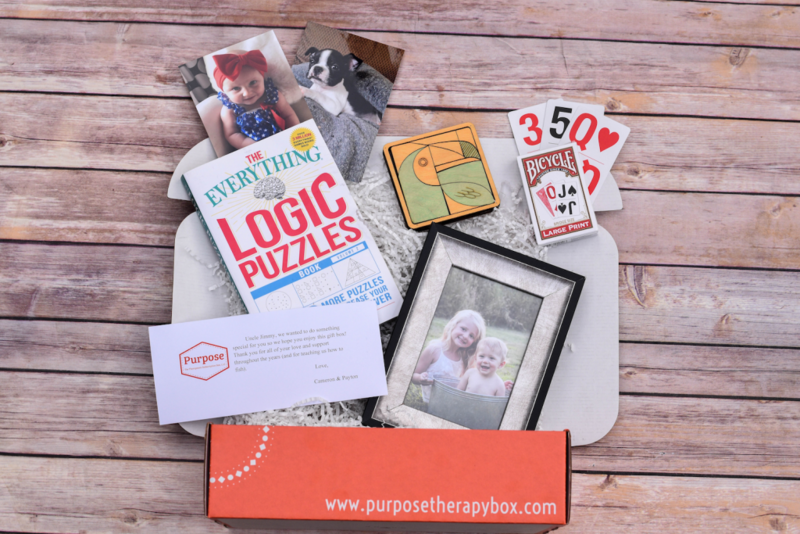 The Purpose Therapy Box is a subscription-based gift box, which families of senior citizens can purchase online with “set it and forget it” ease, and deliver joy to their elderly loved ones by way of the U.S. Postal Service. Each box contains functional and thoughtful items—but never food items, as Holly and Ali are mindful of possible food restrictions—and they are delivered on a one-time or quarterly basis, as selected by the family. Each box is delivered directly to their loved one, and is packed full of thoughtful, personal gifts, such as photos and messages from the family, as well as items that are hand-picked by the COTAs, meaning the often-included brain teasers, puzzles, and more are not only fun, but useful from a therapy standpoint. “Our main focus for the box is to keep families connected, as well as to keep the person who is receiving the box independent, stimulate their mind, and keep them active. With therapy, especially Occupational Therapy, our main focus is trying to keep them as independent as possible. Someone in a nursing home is only receiving therapy for thirty minutes, maybe an hour, in a day. We send things in the box that they can use all the time, or on the weekends, and keep their therapy going,” Ali explained, when asked how the box assists the elderly, and what value it adds to the traditional therapy they are already receiving. Holly and Ali are hoping to launch a profit-sharing model for other OTs and OTAs to recommend the box, in the future. To learn more about the Purpose Therapy Box—or if your patients’ families are interested in learning more—we encourage you to visit purposetherapybox.com.